Capcom (TYO:9697) is in a very solid position right now, that much is certain. Despite earlier this month taking a 13% tumble in share price due to fears over Monster Hunter: World Sales, the company has recovered well. At the time of writing, Share prices have recovered from the low of ¥2,461 and currently stand at ¥2,714. This brings us to the companies recent reveal of their Q1 results for the three months ending June 30th. Capcom have posted a whopping 550% year-on-year increase of operating income, bringing in ¥5.1 billion compared to last year’s ¥784 million. This is on the back of a strong 46% YOY increase of sales, totalling ¥17.2bn compared to ¥11.75bn. It’s no shock that the driving factor behind this record-breaking quarter is Monster Hunter: World. As I covered earlier, by the end of June the game had sold a whopping 8.3 million copies. This wasn’t the only title that impressed for the publisher. Street Fighter 30th Anniversary Collection also surpassed expectations. 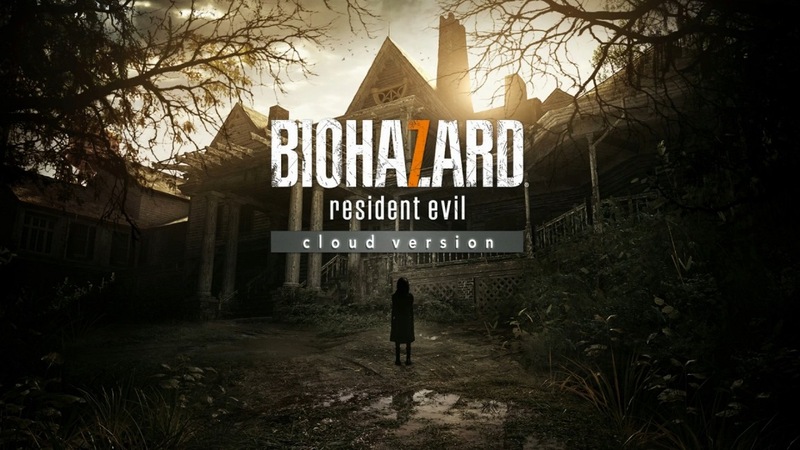 In addition to these titles, Capcom also found a level of success with the re-releasing of older titles on new formats. The Mega Man Legacy Collection, Mega Man Legacy Collection 2 and the bundle of both titles were met with decent sales on the Nintendo (TYO:7974) Switch. The company also released Resident Evil 7: Biohazard Cloud Edition for the Nintendo Switch in Japan, a digital-only streaming version of the game. One thing to note about the company is that, like others, are not just focused on video games. Capcom also have a number of arcade stores across the world, generating income and revenue from those. Albeit, this is to a much lesser degree than such as Konami (TYO:9766). In their arcade division, the company opened up a new store in Hiroshima, making it their 37th store open at this time. 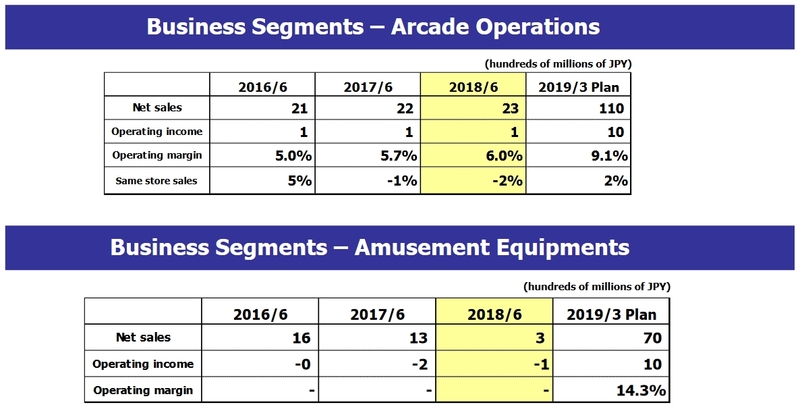 Net sales for the arcade segment of the company comes to ¥2.381bn, with ¥143 million of that as income. This margin of 6% is improving. Same store sales being -2% YOY could likely be attributable to the opening of a new store. Amusement Equipment, on the other hand, has seen a 73% YOY decline in net sales. This has fallen from ¥1.396bn Q1 last year to just ¥376m this year. The division made a loss of ¥154m. It should be noted this is a YOY improvement, where last year the division made a loss of ¥229m. Outside of these areas, the company is also pushing into eSports as well as making improvements in merchandising and licensing. All of this is collected together as ‘other businesses’. This area saw a 60% YOY increase in net sales, from ¥415m to ¥664m. Of this, income increased an impressive 122%, from ¥184m to ¥411m. What this does point out is the simple fact that Capcom are currently reliant on the video game market. Overperforming titles like Monster Hunter: World are fantastic for the company, but there is always the risk of titles underperforming and having the reverse effect. Capcom currently have three such titles to be released within the current financial year. These are Mega Man 11, Devil May Cry 5 and the remastered version of Resident Evil 2. The Future: Bright or Bleak? The current financial year will likely prove to be a mixed bag for Capcom. This first quarter has been massive as a result of one title, something that the company has already seen tail off. This second quarter will likely still be driven by Monster Hunter: World, but to a lesser degree, as the title will be launched on the PC on the 9th of August. Further afield looks stronger for the publisher. Q3 will the the launch of the anticipated Mega Man 11 on the 2nd of October. This is also the first full Mega Man release in eight years and a smart move after the successful kickstarters of Mega Man inspired games like Mighty No. 9. Q4 and moving into the next financial year will be the real strong point. Last month it was announced that Devil May Cry 5 would launch before the end of March 2019. I said, at the time, it was undoubtedly a way of increasing the figures of the current financial year. This is something I still believe and I can’t see it being a bad plan. Capcom are targeting a sixth consecutive year of revenue growth, and also the most profitable in the companies history. This is to be driven by the digital content business, or video games. Following the success of Monster Hunter: World, the upcoming PC release of that game as well as three other key titles to be released in this financial year, It’s hard to see a reason why this aimt wont be achieveed.